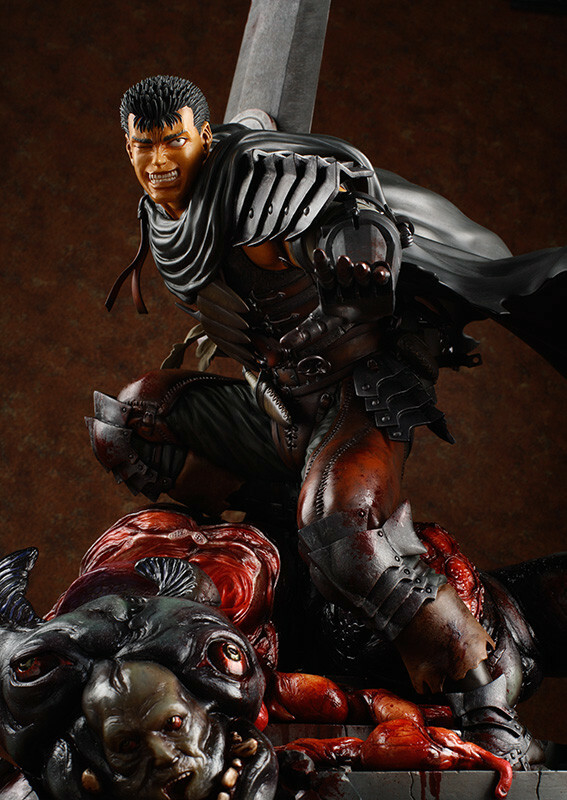 The next figure to join Good Smile Company and Max Factory's 'Wonderful Hobby Selection' series of top quality figures is none other than the berserker 'Guts' from the popular manga series 'Berserk'. 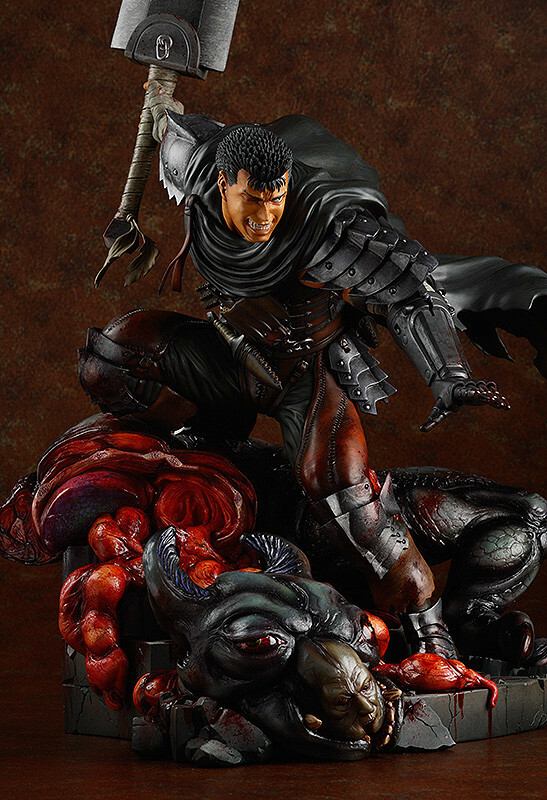 The figure places Guts in the middle of an apostle massacre, having defeated one and already getting ready to attack the next. 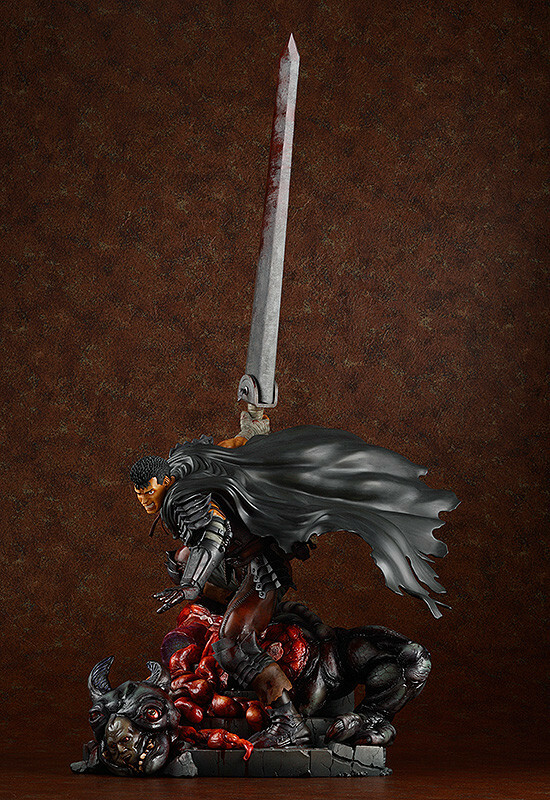 He holds his massive sword 'Dragonslayer' overhead, coated in the blood of his victims as he looks ahead with an imposing glare on his face. 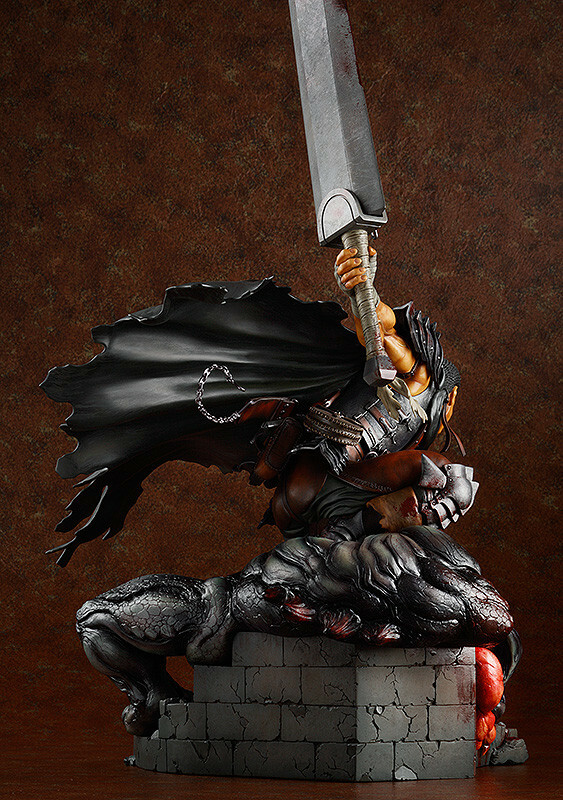 A figure that truly captures what it means to be 'Berserk'. 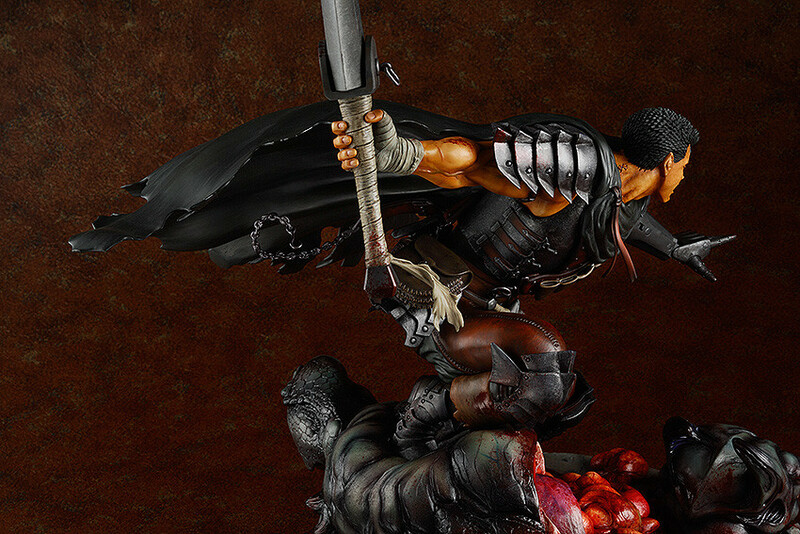 The figure stands an impressive 750mm in height, a size that allows for extraordinary details and paintwork - not only on Guts himself, but also on the stone paved base and slain apostle - the entire scene that is unfolding around him! 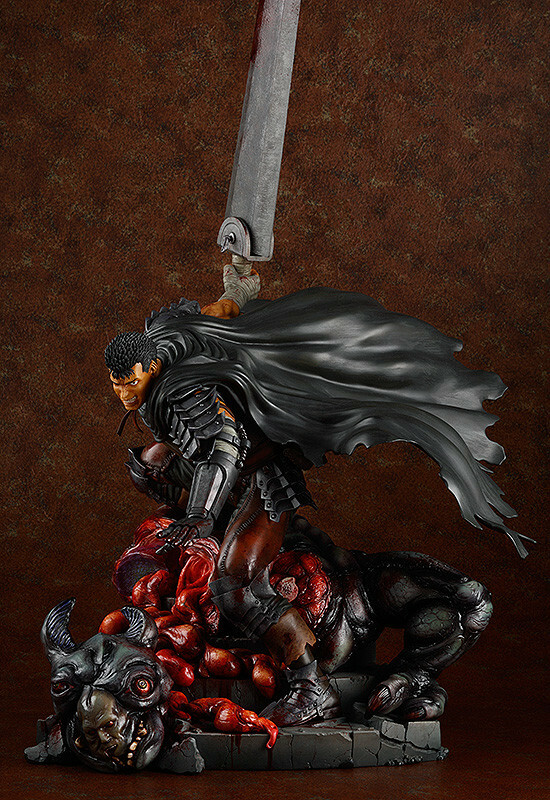 This incredibly realistic masterpiece has been brought to life by the artisans at Max Factory as a complete polystone figure for fans to appreciate for years to come. 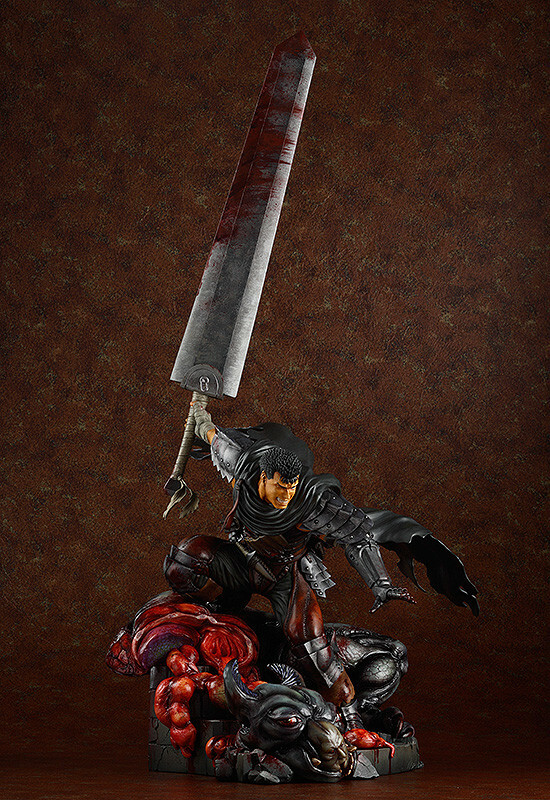 Painted 1/6th scale polystone figure with stand included. Approximately 750mm in height. Preorders will be open from 6th February 2015 (Fri) from 12:00JST until 4th March 2015 (Wed) at 21:00JST. 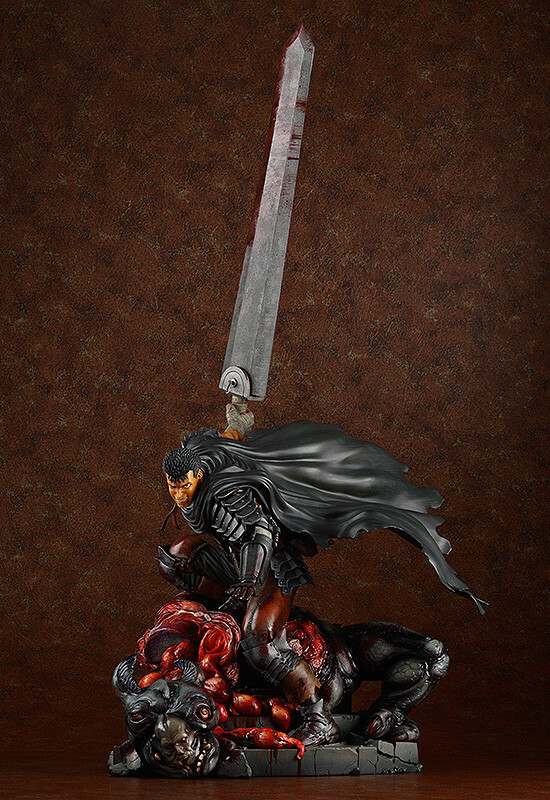 *Within Japan, this product is exclusive to the GOOD SMILE COMPANY ONLINE SHOP. Certain distributors in other countries will also carry stock. It also may be available at certain events.